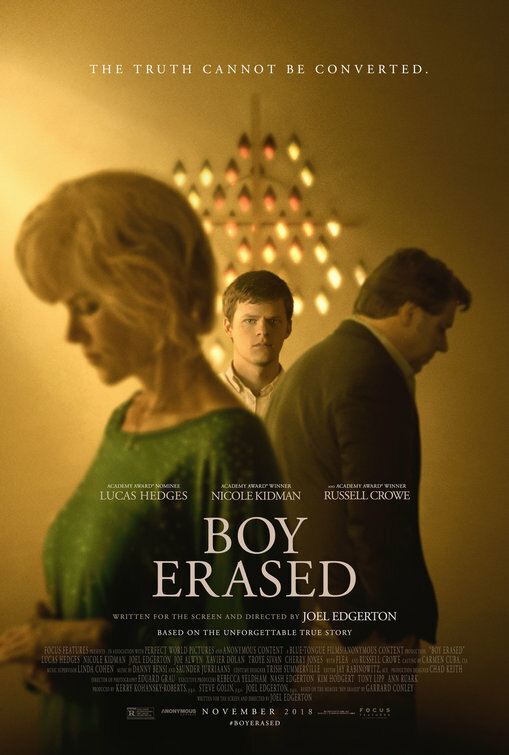 In the coming-of-age drama Boy Erased, based on the 2016 memoir of Garrard Conley, Lucas Hedges plays 'Jared', the 19-year-old son of a Baptist preacher in a small American town who is forcibly outed to his parents (payed by Nicole Kidman and Russell Crowe). 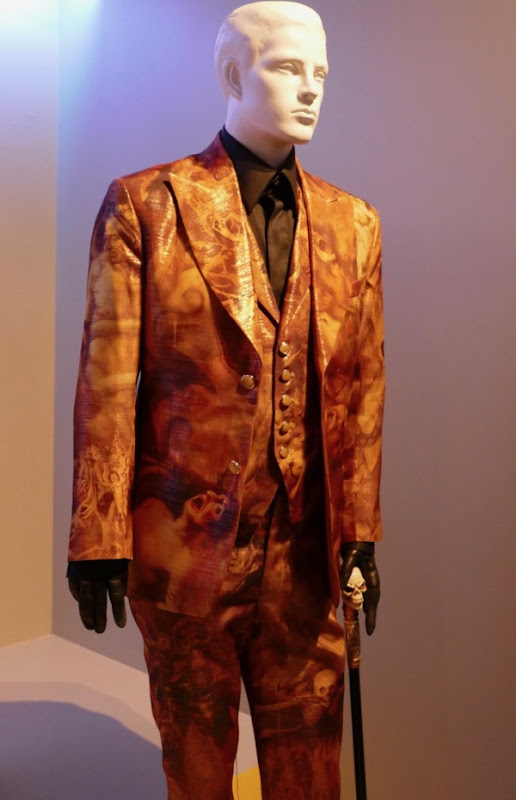 Jared is quickly pressured to attend a gay conversion therapy program, or else be shunned by his family, friends and church, and there he finds himself in conflict with the program's head therapist (played by director Joel Egerton). 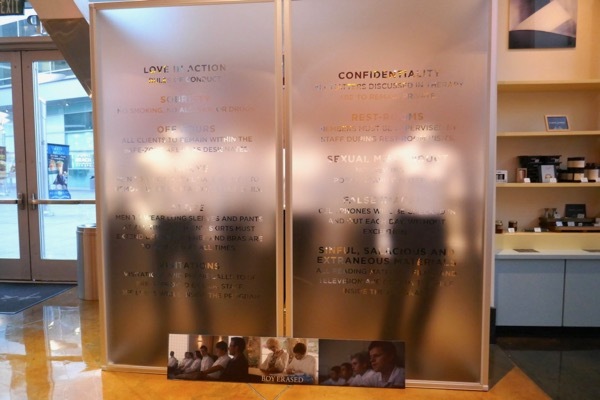 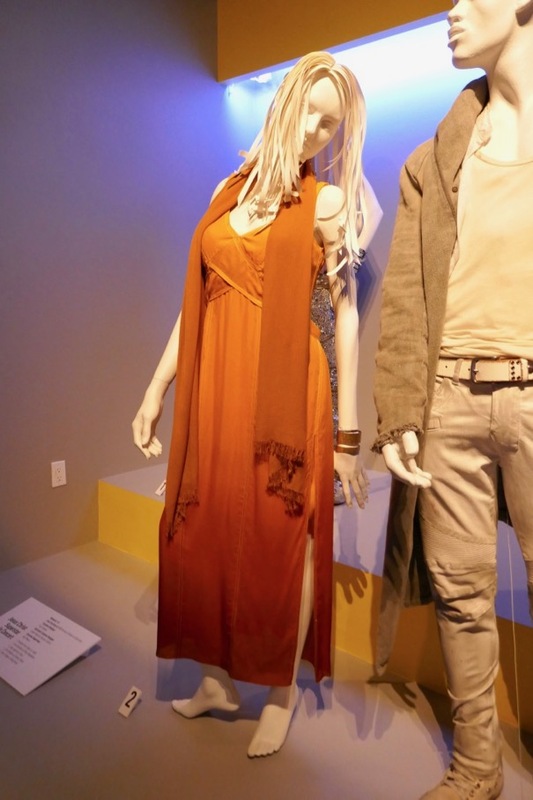 This clever costume exhibit for the movie, adorned with the rules of the inhuman therapy program, was photographed on display at ArcLight Hollywood on October 27, 2018. 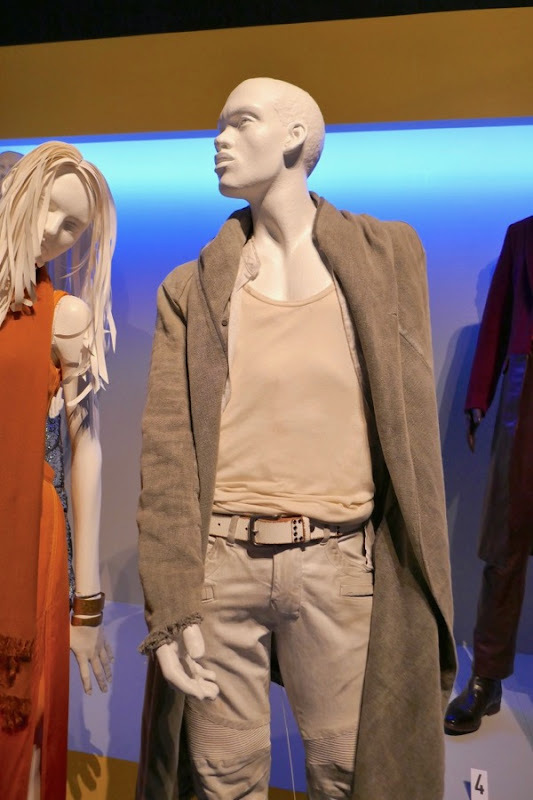 Even though you can't see them through the frosted screen, Trish Summerville was Costume Designer on the gay conversion therapy drama, and these look like the outfits the young men wear in the program. 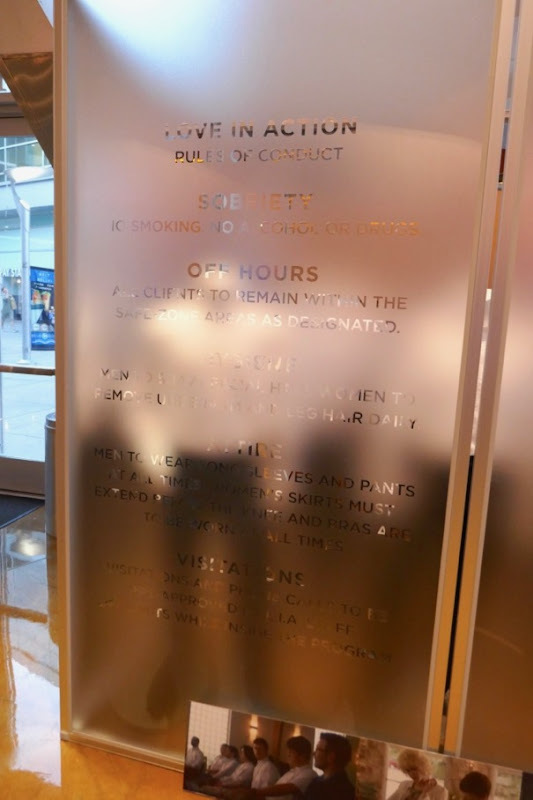 By the way, anyone who sends their children to gay conversion therapy are despicable people, as there is nothing wrong with LGBT people in the first place. 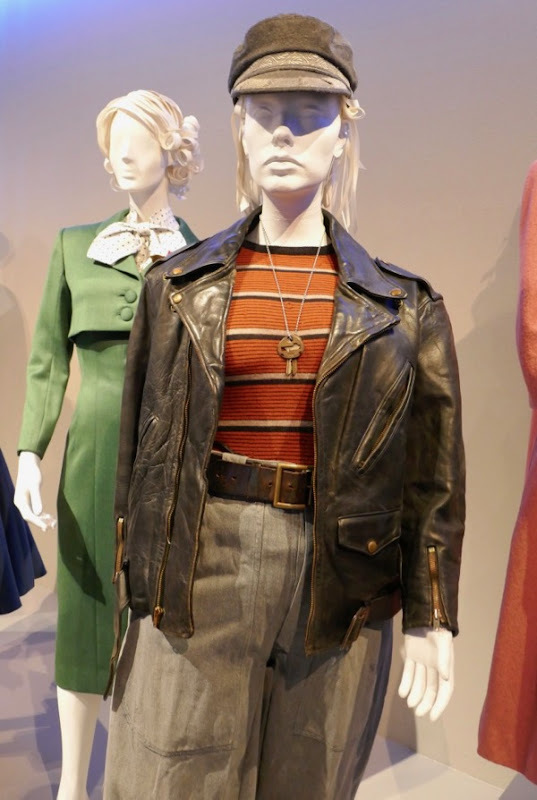 I think this movie is going to be a tearjerker and cathartic for many people who've not been accepted by their family, or community, because of their sexuality. 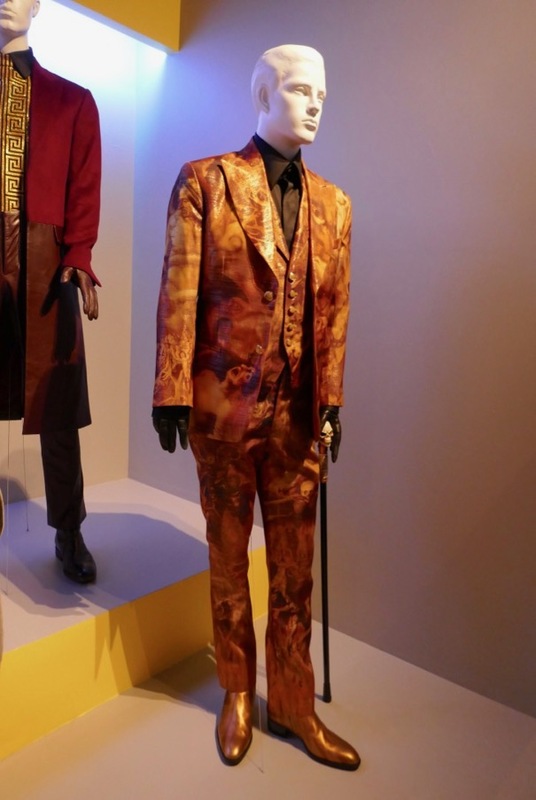 Meanwhile fans of Lucas Hedges can also check out his film costume from Mid90s on display. 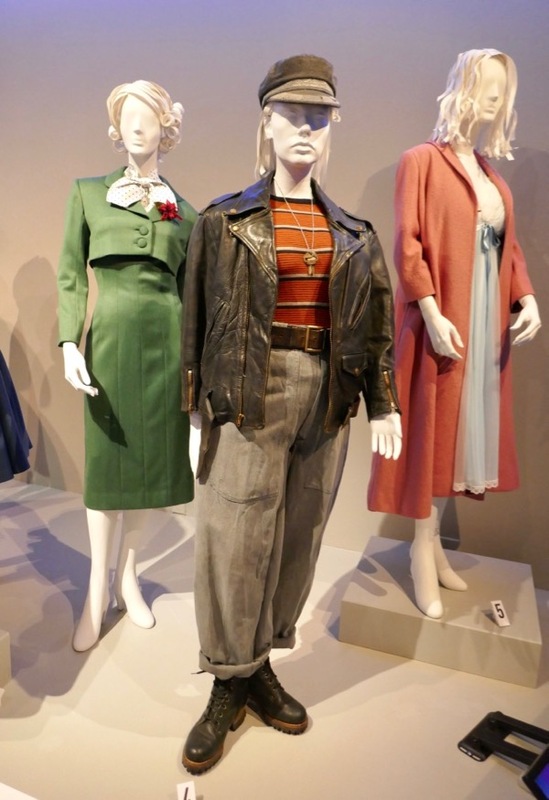 Plus be sure to check out these other film wardrobes from LGBT-themed movies like Battle of the Sexes, MILK, The Danish Girl and Carol. 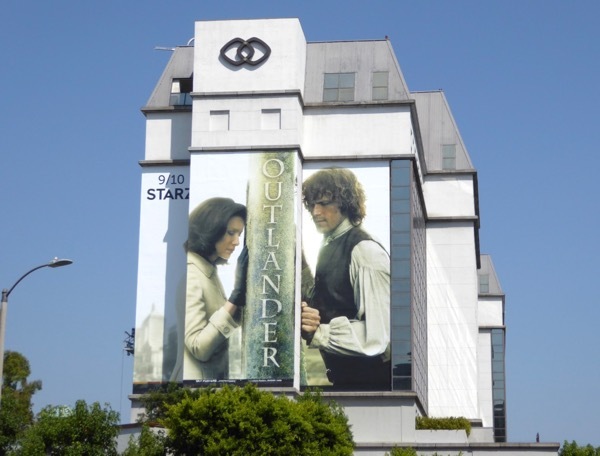 In the third season of of Starz adaptation of Diana Gabaldon's time-traveling book series, Outlander, former WWII nurse 'Claire Randall' (Caitriona Balfe) finds herself once again separated through time from her 18th century Highlander lover 'Jamie Fraser' (Sam Heughan) and back with her first husband 'Frank Randall' (Tobias Menzies) in the mid 20th century raising Jamie's daughter together. 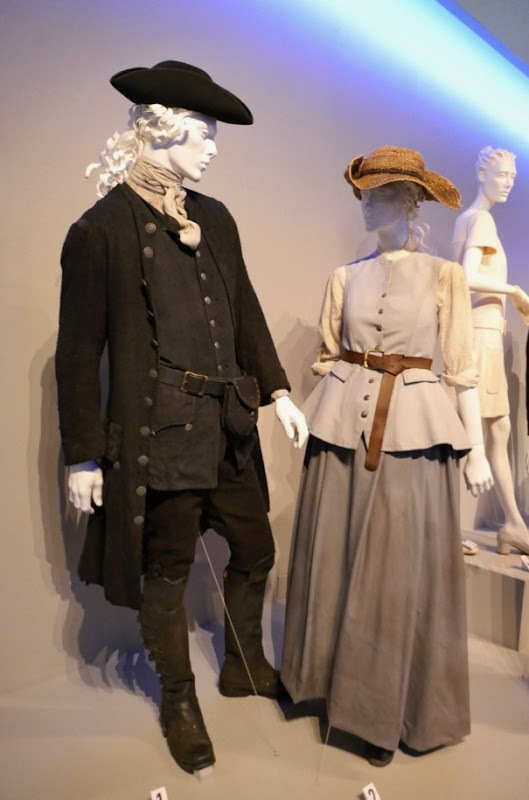 She soon returns to the 18th century to reunite with her Highlands warrior and husband. 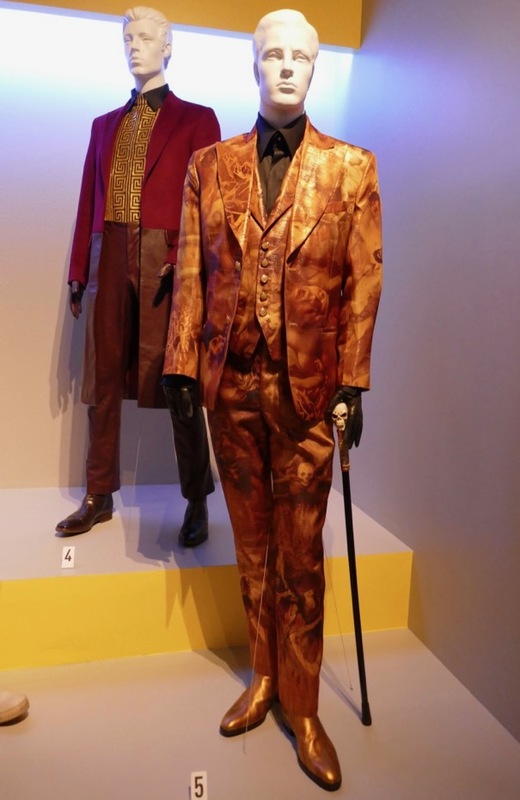 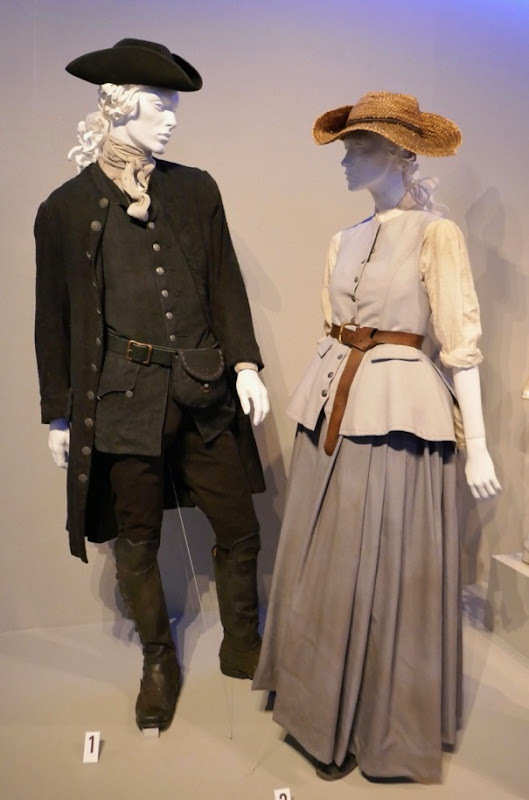 These nominees for Outstanding Period Costumes were photographed on display at Downtown L.A.'s FIDM Museum on August 21, 2018, at the 12th annual Art of Outstanding Television Costume Design exhibition. 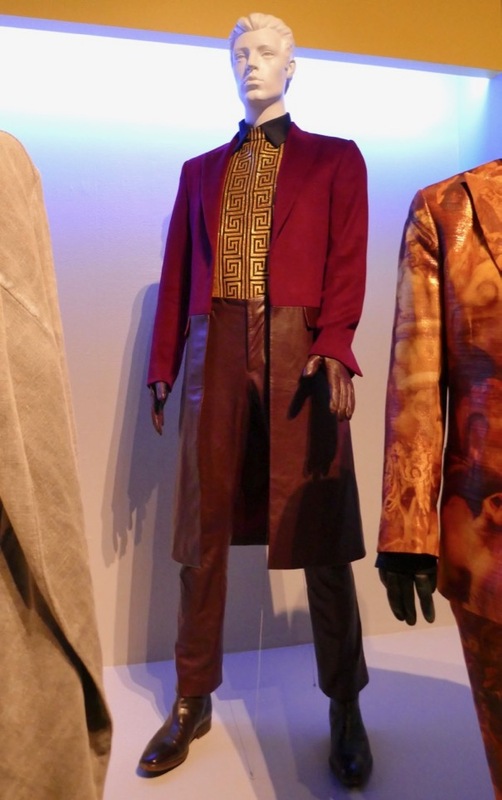 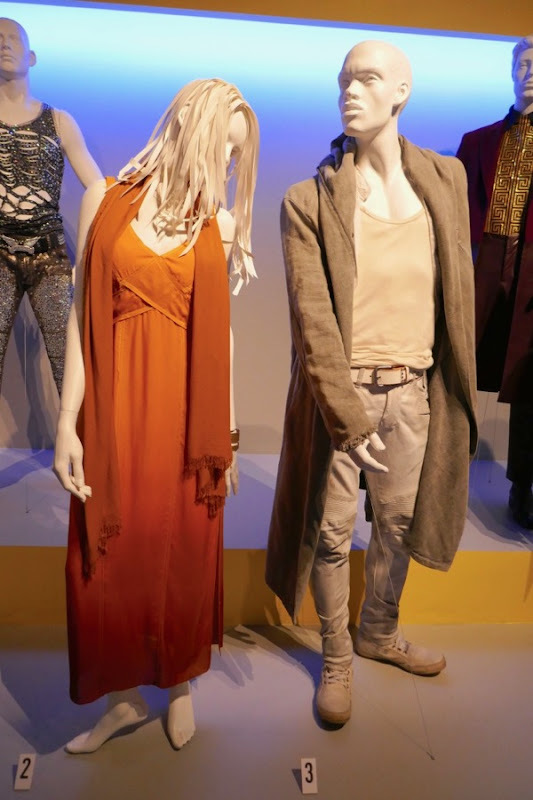 Terry Dresbach was the Emmy-nominated Costume Designer of these third season costumes along with Assistant Costume Designer Nadine Powell and Costume Supervisor Anna Lau. 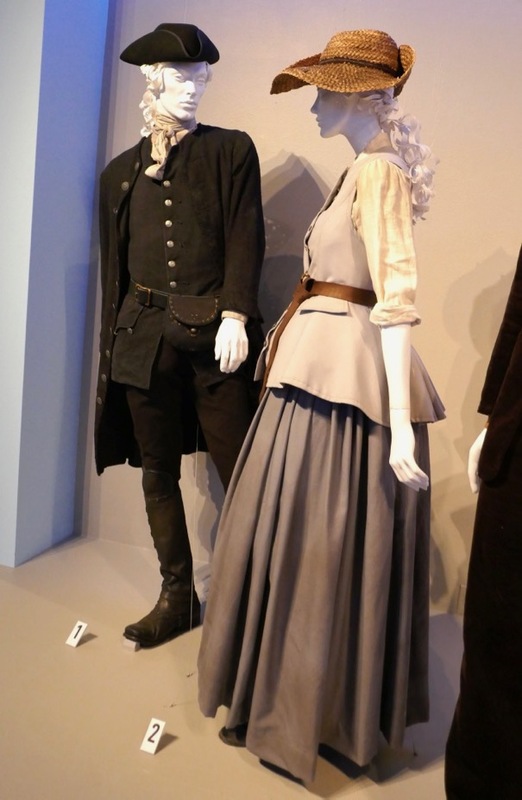 Fans of the Starz series can also enjoy these other Outlander TV costumes on display from previous seasons. 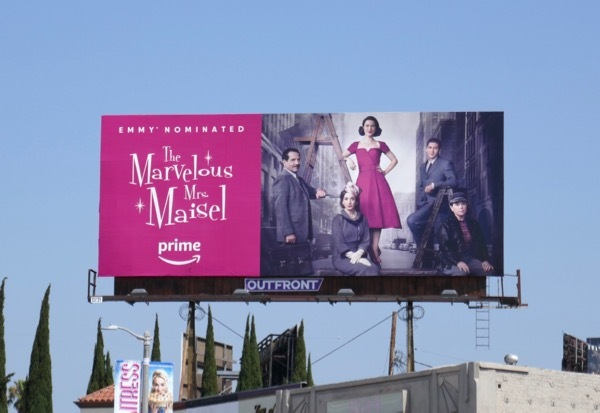 In Amazon Prime's The Marvelous Mrs. Maisel, Rachel Brosnahan plays 'Miriam "Midge" Maisel', a seemingly perfect housewife and mother living on New York City's Upper West Side in the late 1950s who she discovers her husband has cheated on her. 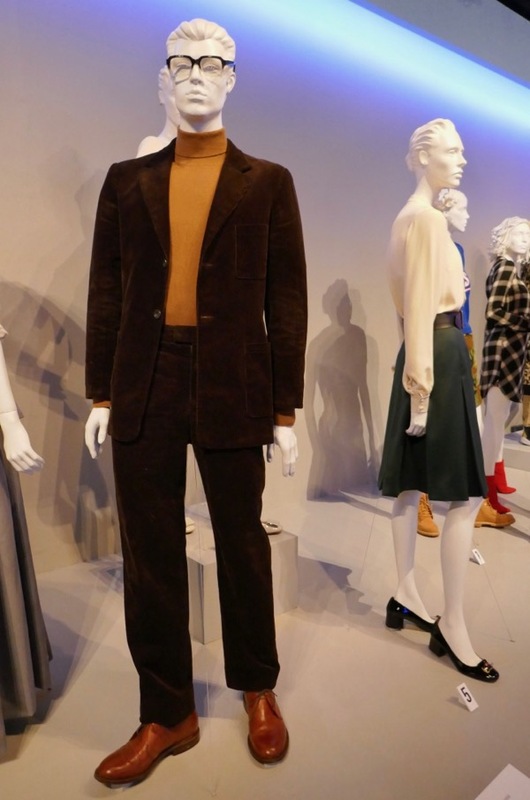 One night she takes the stage of a Lower East Side bar and catches the eye of Alex Borstein's 'Susie Myerson' when she does her drunken stand-up set. 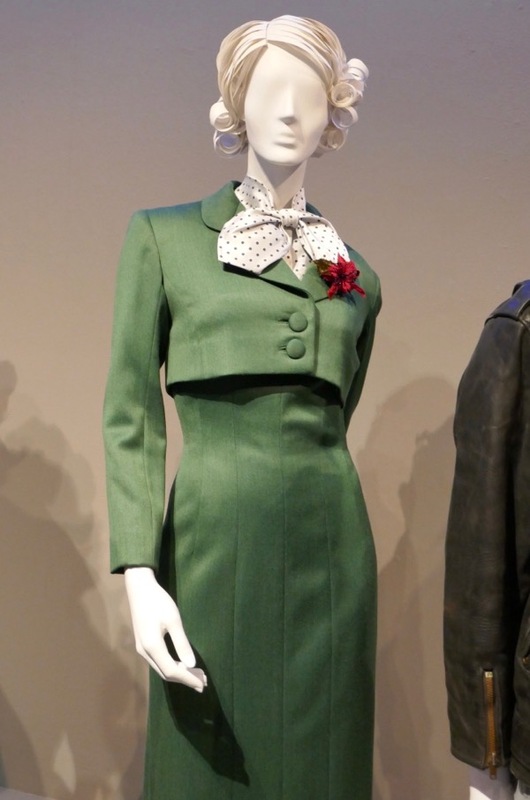 Midge soon find herself working in a department store by day and doing stand-up by night with Susie managing her. 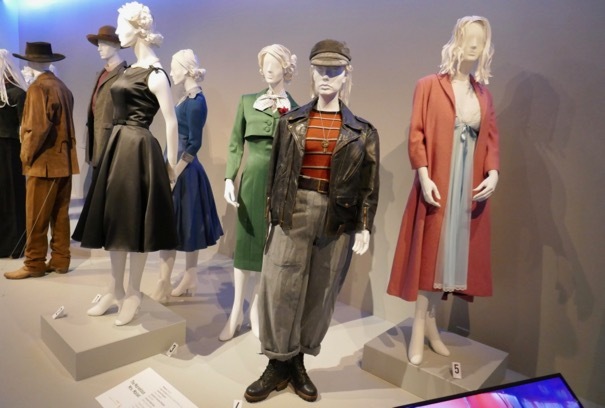 Costume Designer Donna Zakowska, Assistant Costume Designer Marina Reti and Costume Supervisors Shiela Grover and Ginnie Patton were Emmy-nominated for Outstanding Period Costumes for the freshman season. 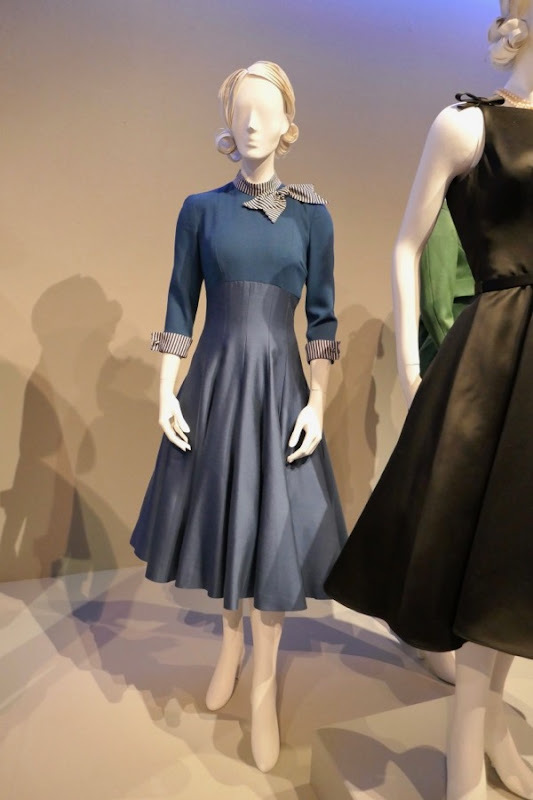 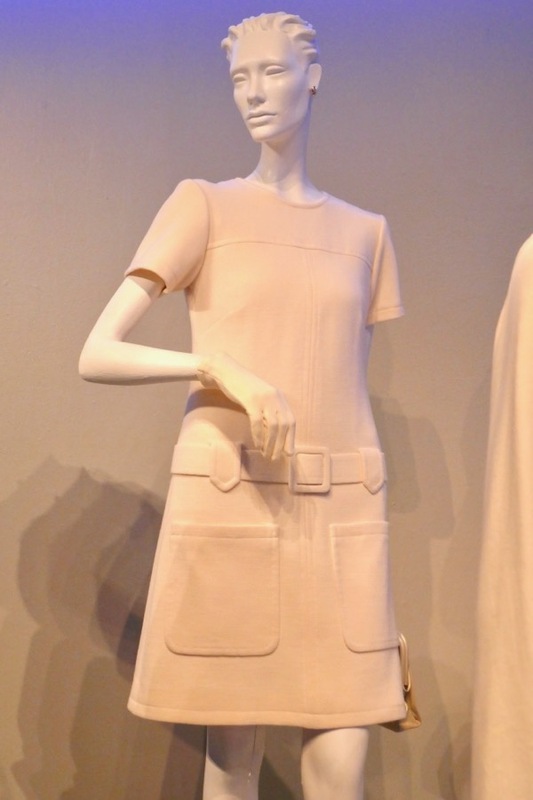 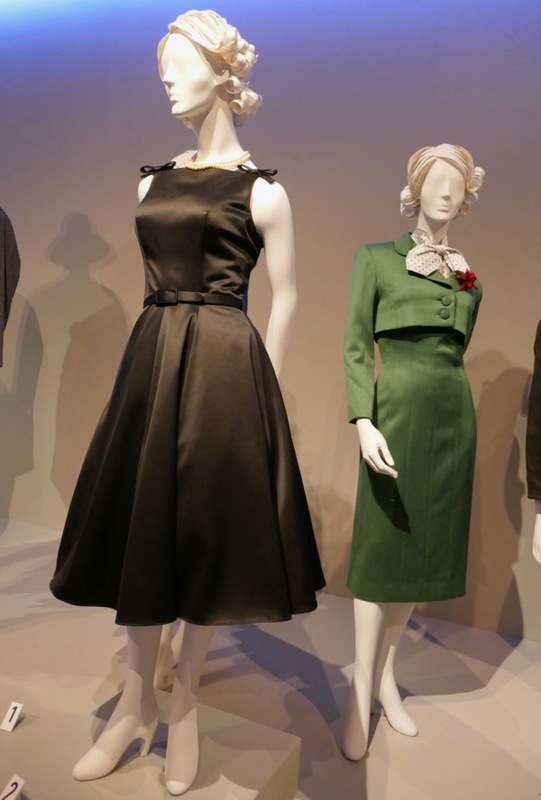 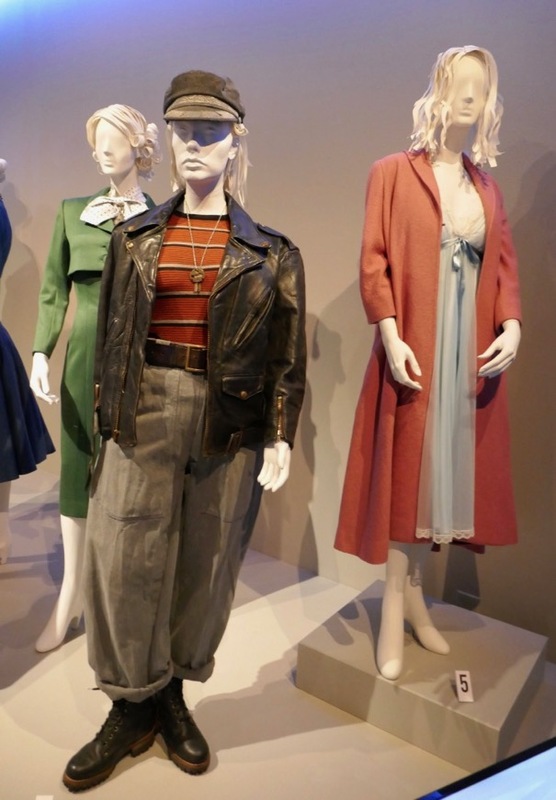 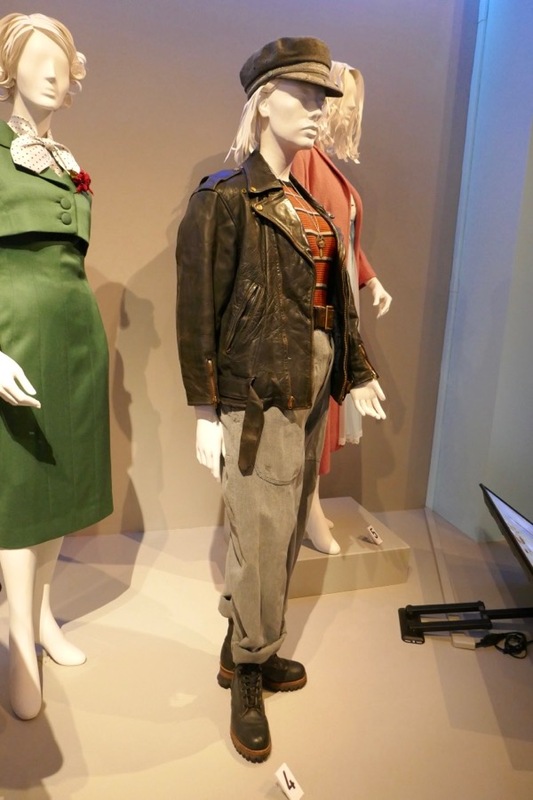 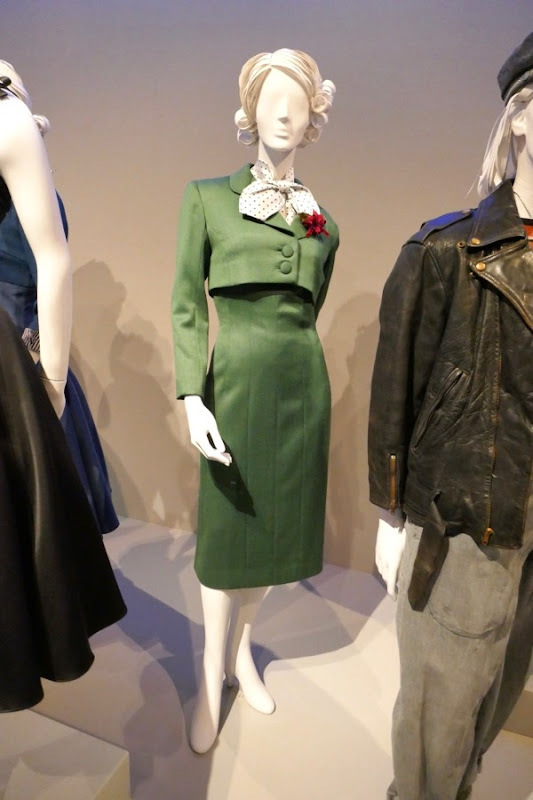 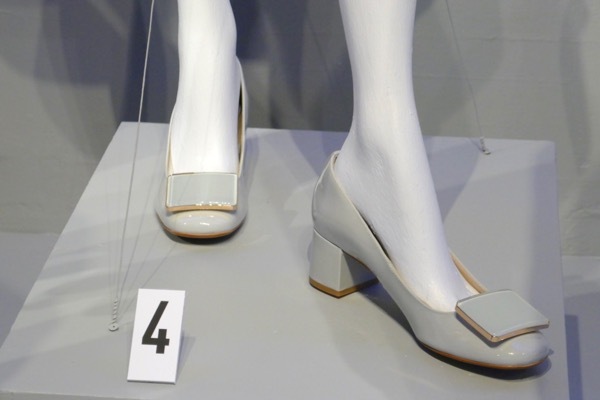 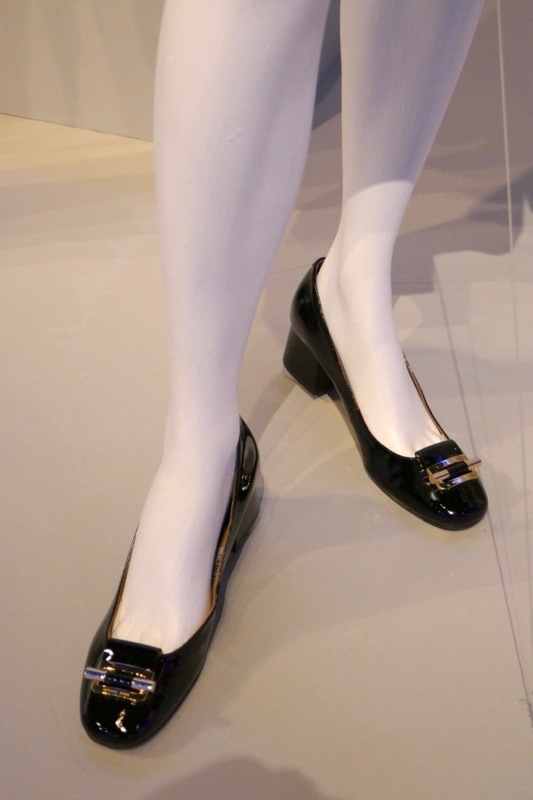 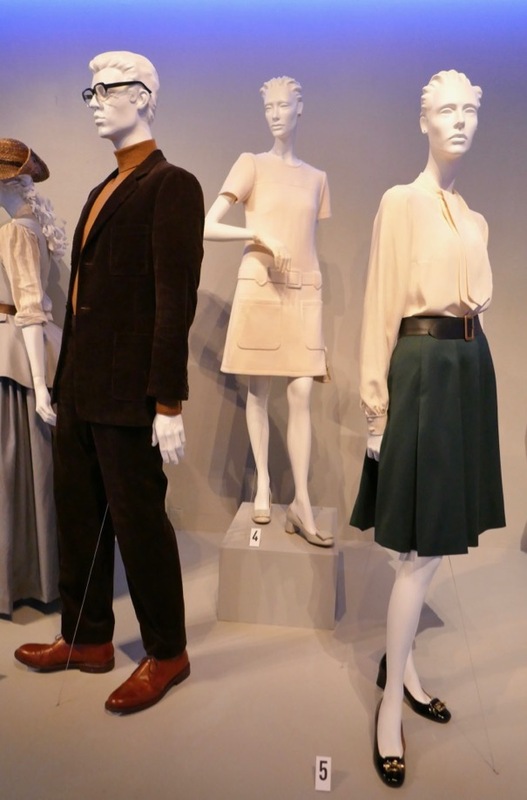 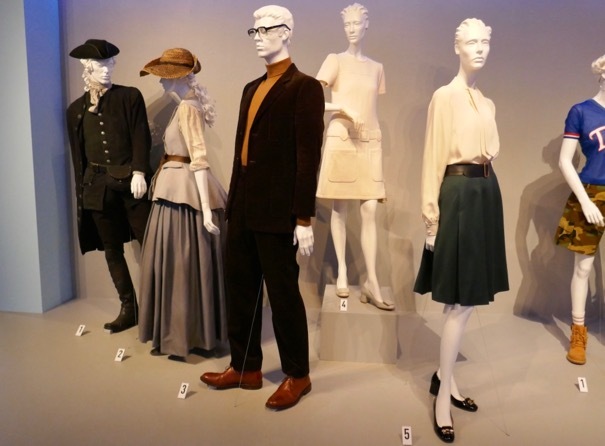 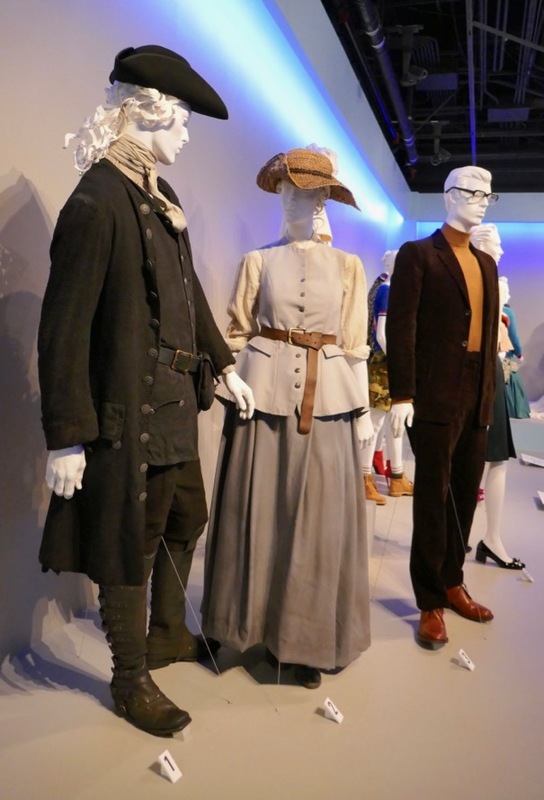 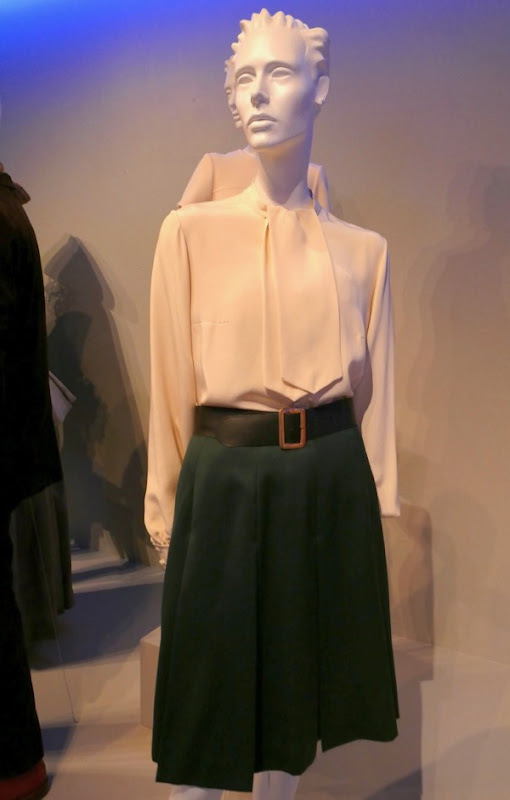 This show's period wardrobe was photographed on display at Downtown L.A.'s FIDM Museum on August 21, 2018. 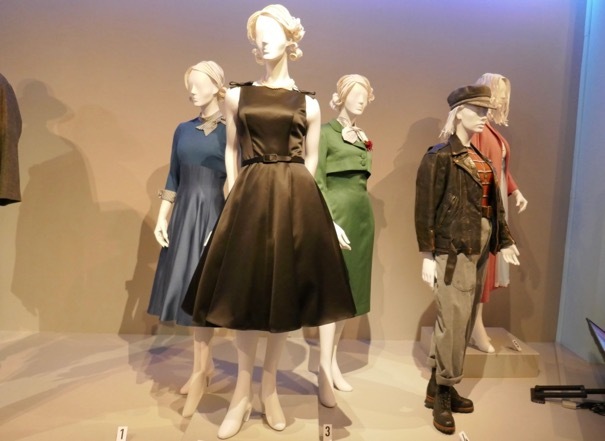 The Marvelous Mrs. Maisel was nominated for fourteen Emmy Awards and Rachel Brosnahan took home the Outstanding Lead Actress in a Comedy Series, Alex Borstein nabbed the Outstanding Supporting Actress and the show scored Outstanding Comedy Series too. 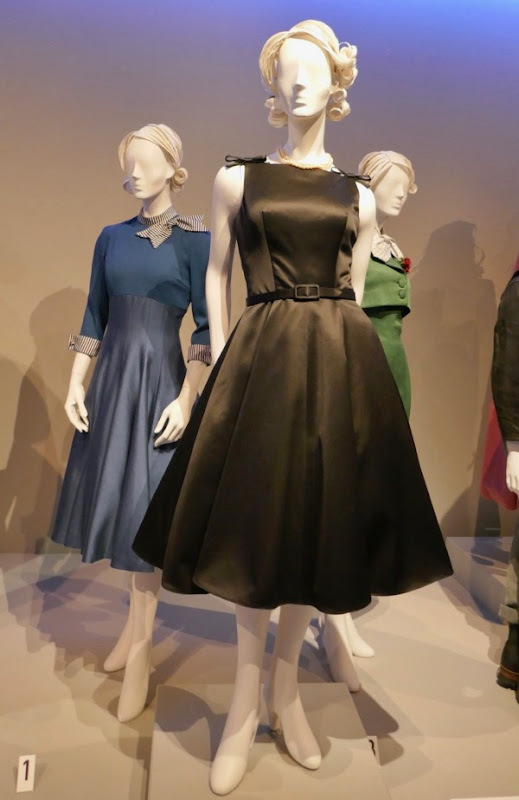 For more 1950s New York film fashion be sure to also enjoy these Carol movie costumes and these Brooklyn movie costumes. 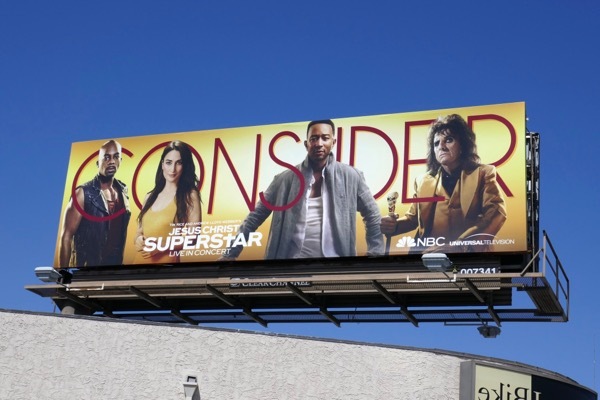 On Easter Sunday this year NBC continued its recent trend of live musical events and broadcast Jesus Christ Superstar Live in Concert with an all-star cast including John Legend as 'Jesus', Sara Bareilles as 'Mary Magdalene', Brandon Victor Dixon as 'Judas', Ben Daniels as 'Pontius Pilate' and Alice Cooper as 'King Herod'. 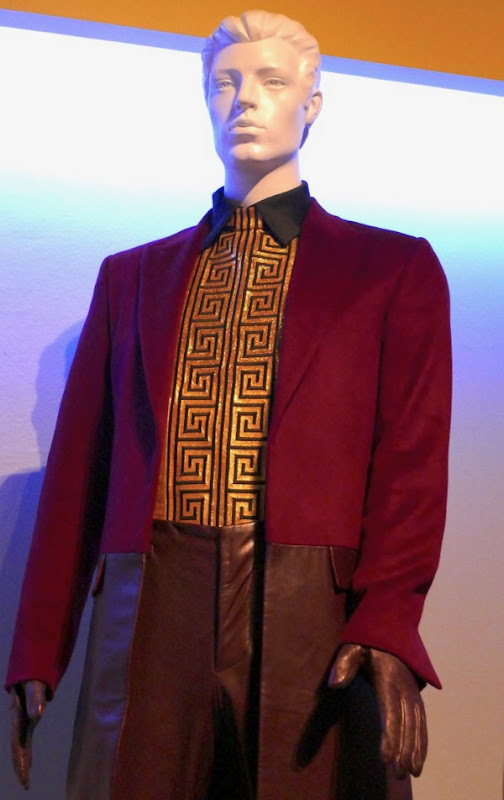 This television adaptation of the rock opera garnered thirteen Emmy Award nominations, including for Costume Design, and even took home the Emmy for Outstanding Variety Special (Live). 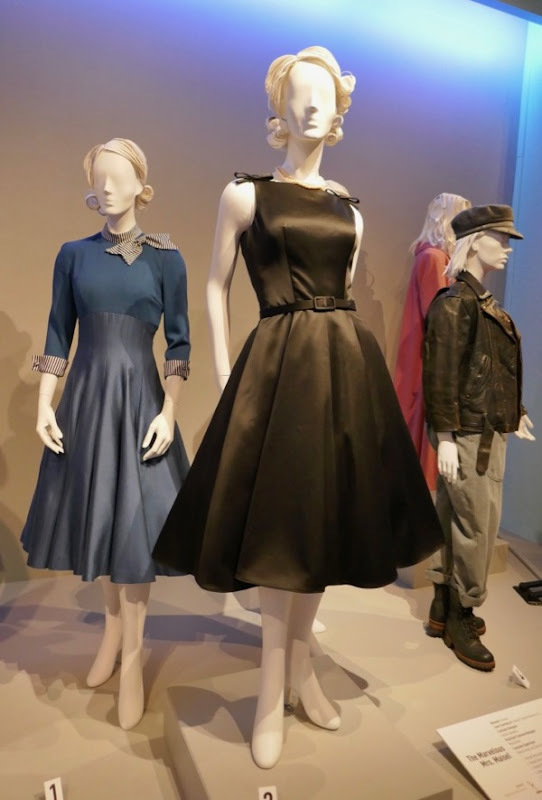 Paul Tazewell was the Emmy-nominated Costume Designer on this NBC musical special, along with Assistant Costume Designers Laaleh Mizani and Heather Lockard and Costume Supervisor Rory Powers. 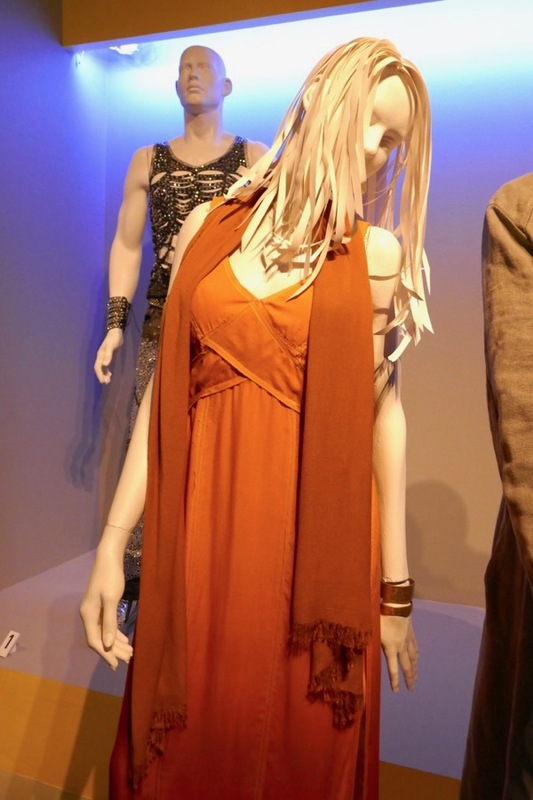 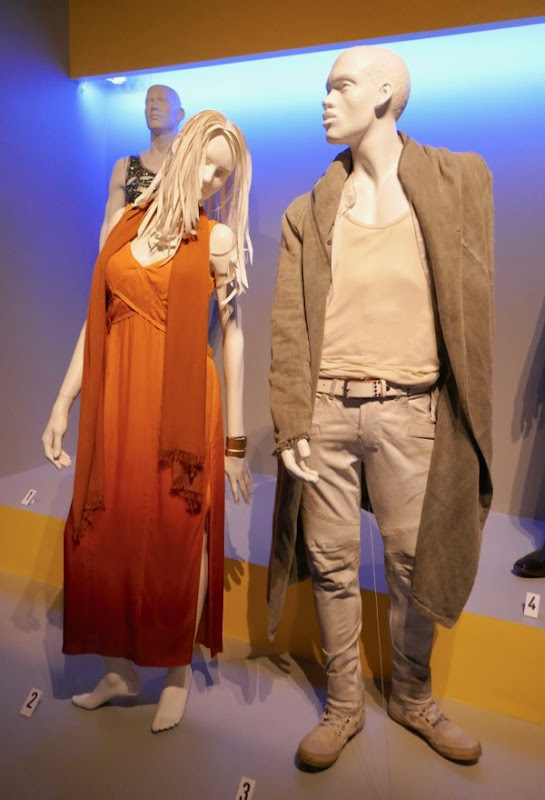 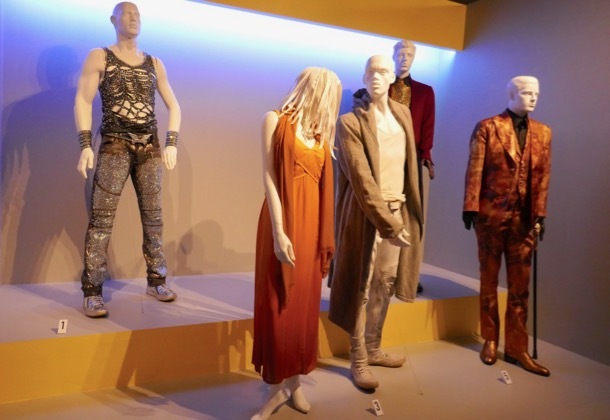 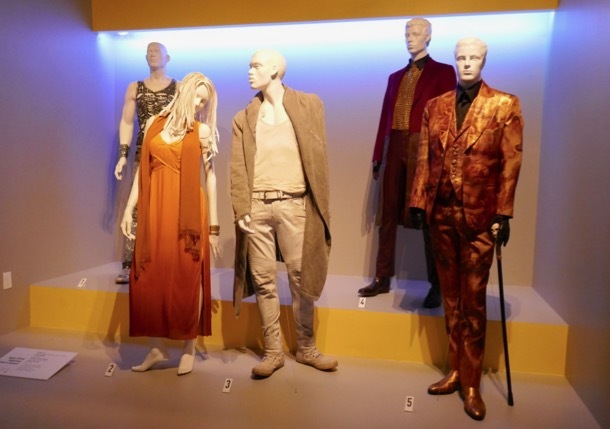 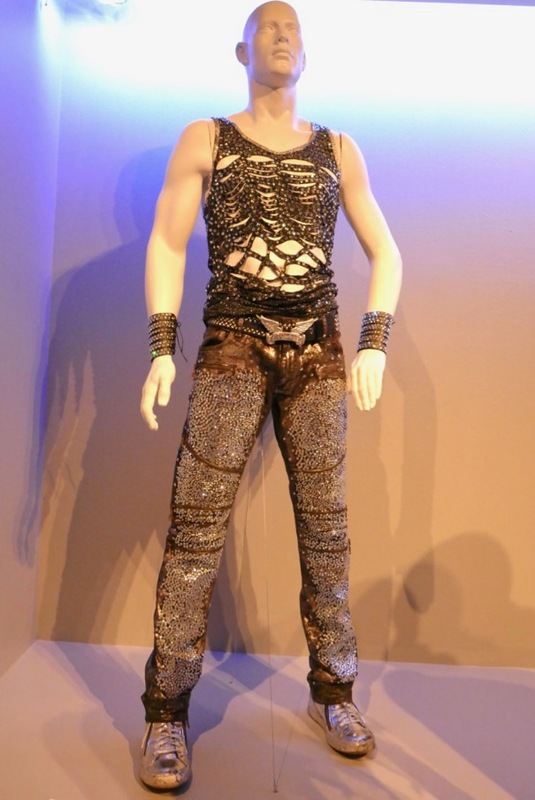 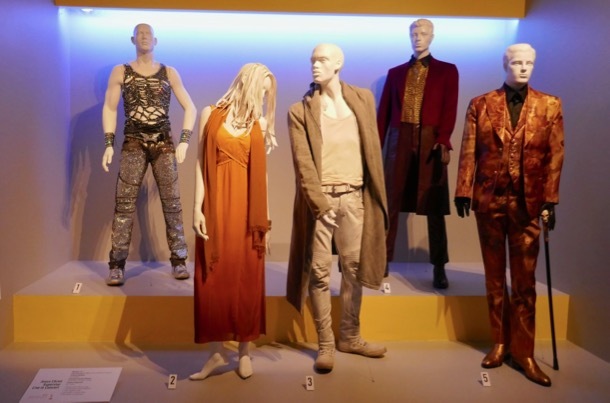 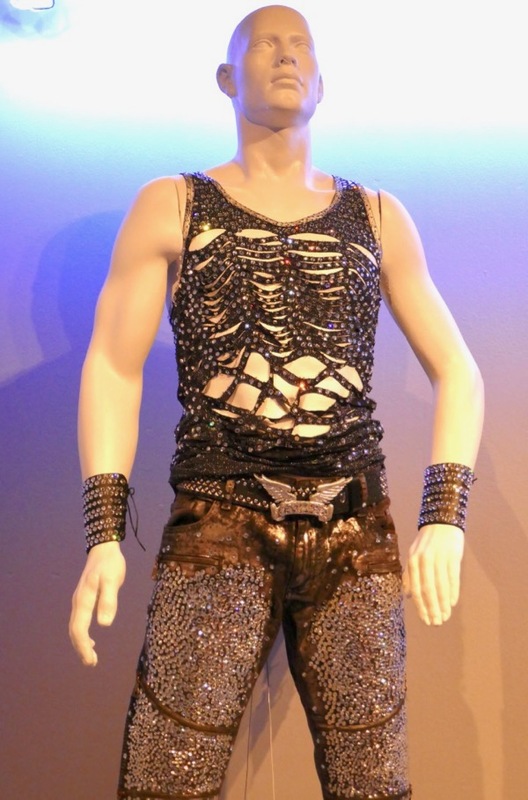 This cool collection of costumes from Jesus Christ Superstar Live in Concert were part of the 12th annual Outstanding Art of Television Costume Design exhibition at Downtown L.A.'s FIDM Museum on August 21, 2018. 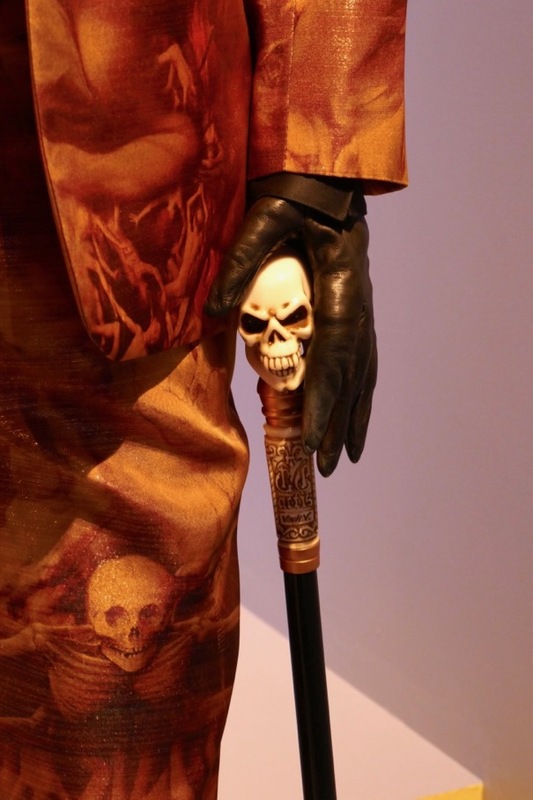 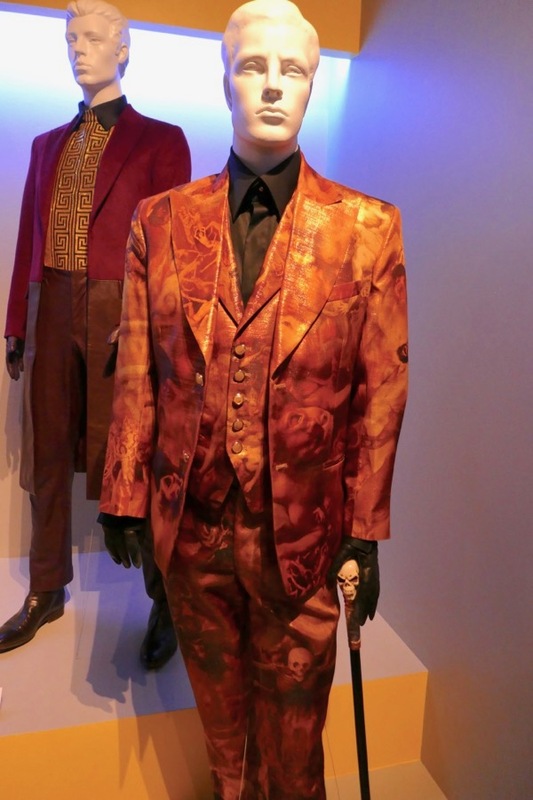 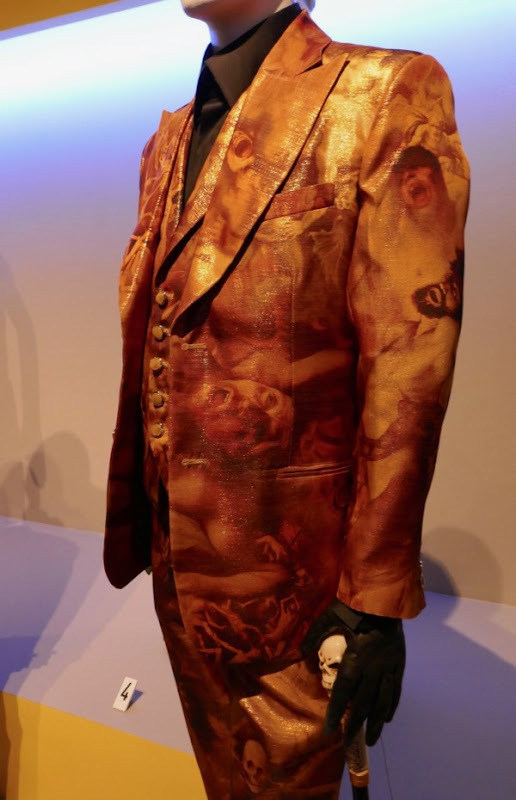 I especially like Alice Cooper's King Herod suit which comes adorned with a pattern of skulls and the faces and bodies of tortured souls. 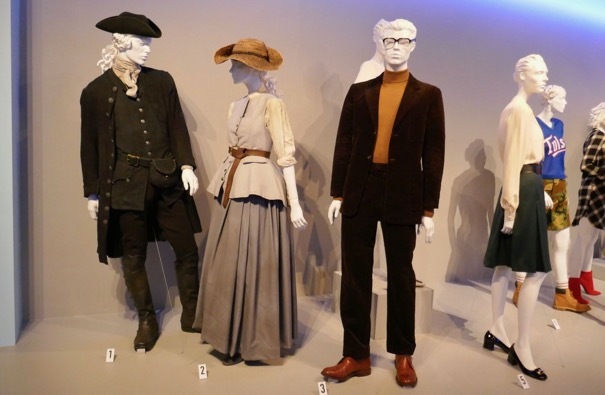 If you're a musicals fan, be sure to also check out these costumes and props from NBC's Peter Pan Live and these Hairspray Live costumes too.